Fives Bronx, that combines Bronx/Taylor-Wilson and Abbey brands, has been awarded a contract for the design, manufacture and installation of two Hydrostatic Pipe Testing machines for API 5L and 5 CT products for Russia. The first machine was shipped to JSC Tanganrog Metallurgical Works and was the first to pressure test 60.3 to 219 mm pipe up to 150 MPa. 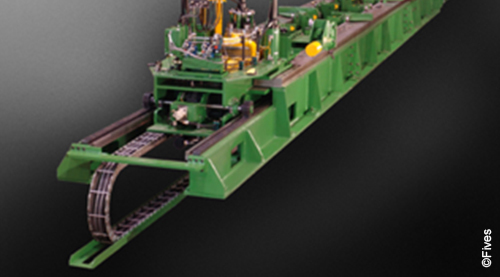 The second machine was shipped to the Joint Stock Company Sinarsky Pipe Works Zavodskoy plant. This machine is also be capable of pressure testing 177.8 mm pipe up to 150 MPa. This design features a 2.962 kN end load and will possess numerous refinements which improve cycle time and manufacturing uptime, and reduces maintenance expense.